PowerObjects’ suite of PowerPack Add-ons for Dynamics 365, which add functionality to the CRM component, allow VFC's portal to operate seamlessly by providing a tool to measure user engagement, report on document opens, and automate prompts and reminders. 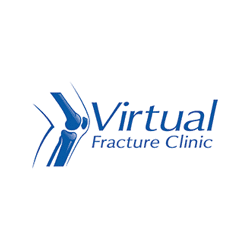 The Virtual Fracture Clinic (VFC), developed and established by Advanced Practice Physiotherapist Lucy Cassidy and Consultant James Gibbs, is a virtual follow-up clinic for patients with simple fractures or soft tissue injuries that allow them to receive their post A&E care online.The Virtual Fracture Clinic platform allows VFC to manage patients who have simple fractures and soft tissue injuries virtually, without the need to visit a clinic in person. The platform manages patient information to guide patients in treating their acute injuries. Initial diagnostic medical appointments can be made by telephone and are supported with online resources including YouTube videos and email templates. VFC supports patients by bringing the information to patients recovering at home via telephone and online resources, not only to give them a diagnosis that they would have originally had in a clinic, but also to give them their first six weeks-worth of rehabilitation exercises to access immediately. In additional to Microsoft Dynamics 365, VFC uses a CRM portal to manage referrals into the system and to allow patients to access their rehabilitation plans and their diagnosis and chart outcomes with regards to the progression of their exercises. PowerObjects’ suite of PowerPack Add-ons for Dynamics 365, which add functionality to the CRM component, allow the portal to operate seamlessly by providing a tool to measure user engagement, report on document opens, and automate prompts and reminders. PowerEmail sends automatic emails based on the triggering of the first trigger emails from a referral. When VFC receives a referral, the first email is triggered by PowerEmail, and then there’s a series of email triggers that are set up for the surveys and the outcome measures. VFC uses PowerWebForm to gather patient information including telephone number, email address, and then gives us a diagnosis of the injury and how A&E have treated that injury. Then it asks them for their name and location that they’re referring from so that VFC can track that information. Using PowerWebForm’s dropdown boxes to select a diagnosis results in determining accuracy in diagnoses provided. By utilizing PowerWebTraffic, VFC can monitor how people are interacting or not interacting with the portal. Because VFC receives numerous referrals daily, they needed something that would let them view all referrals instead of having to open every referral individually to go through and look at the cases. PowerGrid brings the referrals into a grid format so VFC can view the cells that are relevant to them in order to make a diagnosis. Patient information is entered into PowerGrid while an orthopedic consultant is reviewing a case. PowerGrid allows VFC to easily view 24-hours-worth of work to code it all in one place. Once the correct diagnosis is entered, it automatically links to the correct protocol, which is then emailed to the patient once the diagnosis and the patient’s email address is confirmed. PowerAutoNumber automatically assigns a unique identifiable number to referrals as they come in.